If you are looking for an asana (yoga posture) to help you increase your courage and stamina, look no further, Warrior Pose a.k.a. Archer Pose is the posture for you! Try doing this kundalini yoga posture daily for a while and experience for yourself how it can bring along physical, mental, emotional and spiritual transformation and growth. Warrior Pose makes you more focussed and gives you the courage, strength, willpower and determination to do what needs to be done. At the same time Warrior Pose helps you to shift your awareness and its practice expands the way you experience and perceive yourself. You will become more open, authentic, no longer being afraid to be honest, to yourself and others. Bring your right foot forward so your feet are at least a meter apart (depending on how tall you are), keeping the heels aligned. Make sure the toes of your right foot point straight forward and the toes of your left foot are turned slightly outwards (away from the body) at a 45 degree angle. Keep your left leg straight and strong and bend the knee of your right leg, making sure your knee does not surpass your toes, keeping it right above your foot. Try to bring your right thigh almost parallel to the ground. Keep your spine straight, your head remains right above your tailbone, don’t lean forward and check you aren’t sticking out your bum, keep your tailbone pointing straight down to the earth. Now bring up your arms as if you are holding a bow and arrow, curling your fingers onto the palms. Bring the right arm up, parallel to the ground and pull the left arm back, bending at the elbow, keeping your left hand next to the left shoulder. You should feel a stretch across your chest. Keep your eyes open and gaze beyond your thumb, fixing your attention on the infinite. Hold for 3 to 5 minutes on each side with either long deep breathing or a breath of fire. You can extend your practice to 11 minutes on each side which is highly transformational. Chanting the Kundalini Yoga mantra Gobinday Mukanday while in the posture helps to keep up and increases your courage to transcend your fears. When you’re done, gently come out of the posture, bringing the feet closer together and meditatively relax in Tadasana (Mountain Pose, keeping the feet close & paralal to each other, arms relaxed by the side of the body). Before moving on to the other side or into a next posture, breath long and deep and give yourself the chance to feel your body, the breath, the life inside of you and the expansion of your energy beyond the physical body. To really reap the benefits practice this kundalini yoga posture daily for 40 days! Makes you feel firm and grounded. Strengthening of the nervous system which in turn increases the strength of the Radiant Body. Strengthens the knees, legs and intestines. Builds power in the navel and stimulates the alchemical fire that purifies and transforms us. Builds physical stamina and reservoir of inner power. Opens the hips, giving you access deep core strength. Gives steadiness & develops the ability to stay focussed. Develops the qualities of a Warrior – courage, fearlessness and willpower. Helps to promote a greater flow of energy and power throughout the physical and subtle bodies and thus promotes expansion of consciousness. Works on all the chakras allowing them to open, heal and balance. If you need excessive sleep, it is said this posture can help you cure this. If you would like to experience how Kundalini Yoga can strengthen your radiance and initiate yourself into the qualities of the Warrior Saint, join us for the upcoming Live Session. 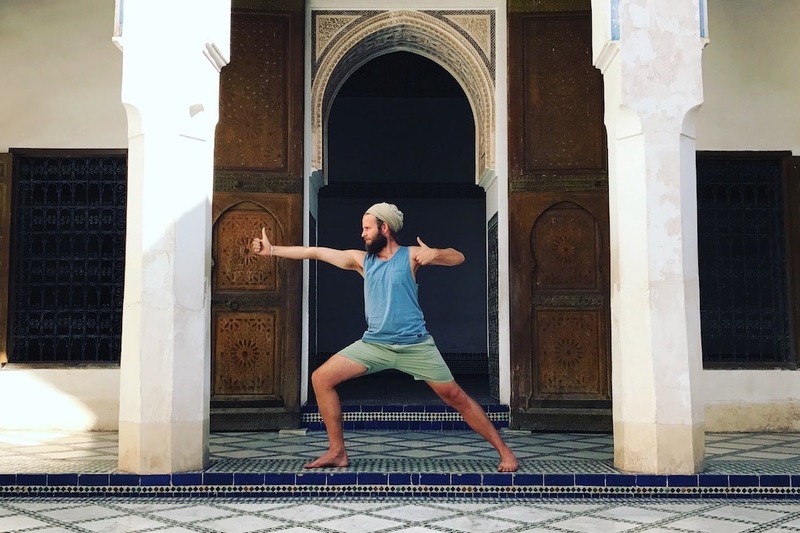 On Saturday the 23thd of June from 10 AM – 12 PM we will host a 2 hour Kundalini Yoga Session with a Kriya & Meditation to shift your mindset from Worrier to Warrior. This session will boost your intuition, and transform fear into courage allowing you to be fully present in the moment and open to all the possibilities life is offering you!